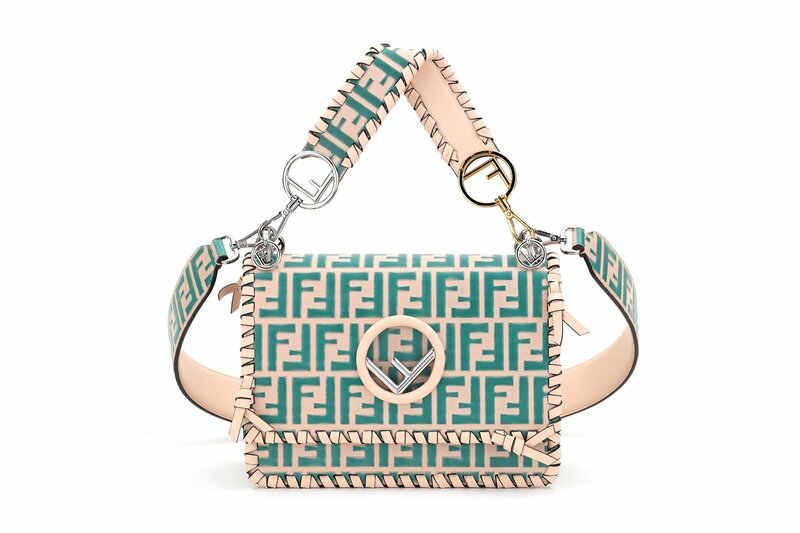 FENDI launched their new Colibri collection of shoes from the the Spring/Summer 2018 Collection, introducing a new style, incorporating the Tropical Futurism mood, which perfectly embodies FENDI’s passion for craftsmanship and obsession for innovation. The new Colibri shoes collection is the culmination of the highest savoir-faire with the most innovative technology, designed for a contemporary and elegant woman always looking for a fashionable and cool touch. “The Colibrì shoes are very interesting as we have used a very innovative technique normally used for sneakers and ready-to-wear, as they are all thermo-heated so they are without no seams. It’s a very technical kind of finishing combined with unique craftsmanship as the heels are complete hand-made in Rattan,” continues Silvia Venturini Fendi. Their extreme lightness together with the multicolour and pointed front toe inspire their name, Colibrì, taking its characteristics from the homonymous tropical bird. The collection was created in printed mesh with tartan and flower versions or in monocolour with colour contrast combinations, including a sporty feeling given by the detail string on the ankles. Available as sophisticated over the knee boots, sling back and flats. A unique twist is given by the ankle socks in checks and multicolour lines, that give an additional touch to the flats and sling back shoes, together with the FF logo calf-high stockings and tights. An extremely high-tech workmanship characterises the Colibrì shoes, the thermo-heated ribbon details, that usually is used in ready-to-wear, applied on the mesh make this shoe very light and unstructured symbolising modernity meeting with traditions and savoir-faire. Rattan heels in natural color and dark brown give an exclusivity savoir-faire allure to the Colibrì shoes, as they are completely handmade. Each straw and is cut one by one, twisted and positioned on the heels for a unique touch. 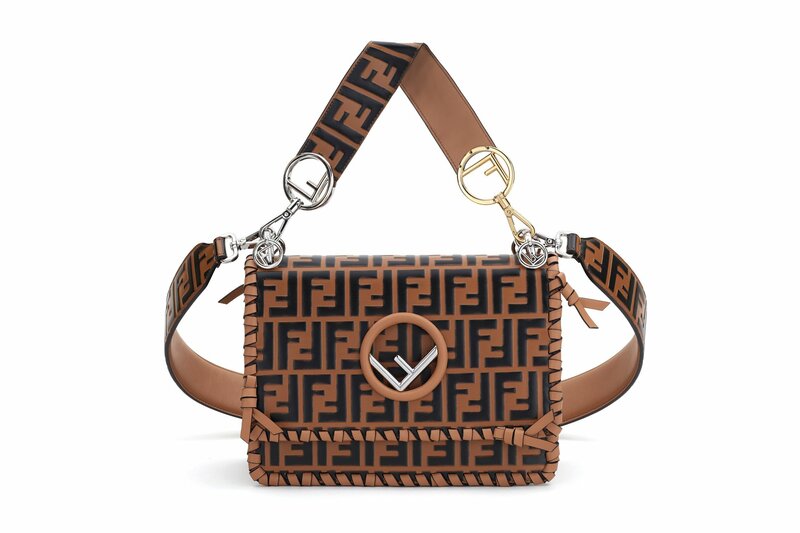 Korean Actress Go Joon Hee carrying the FF logo Kan I from the Fendi Spring Summer 18 collection which is retailing at MYR14,990.